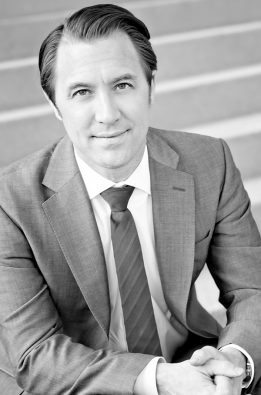 Sam, a Partner with Calcagni & Kanefsky, uses his wealth of experience in both the private and public legal sectors to represent clients facing government investigations and in private disputes. Sam represents healthcare and financial sector clients confronted with regulatory and civil investigations by the government, including State Attorneys General, state securities and insurance regulators, U.S. Department of Justice, SEC, FINRA, HHS, licensing boards, and other agencies. Sam’s litigation practice also includes representing clients in partnership disputes, oppressed minority shareholder actions, securities fraud actions, RICO actions, and cases involving other business torts. He provides general counsel to his clients regarding regulatory, compliance, and corporate governance matters, and cyber-security and privacy laws. A well-seasoned litigator, Sam has practiced at preeminent law firms and served eight years in the New Jersey Attorney General’s Office running major securities, consumer fraud, and healthcare fraud investigations. Sam formerly served as Section Chief in the New Jersey Attorney General’s Office. As the former Chief of the Securities Fraud Prosecutions Section, Sam served as the primary legal counsel of the New Jersey Bureau of Securities and led the state civil prosecutors charged with litigating securities fraud, licensing, and regulatory matters against broker-dealers, securities professionals, hedge funds, and Ponzi-scheme operators. He also oversaw the New Jersey public pension funds’ securities fraud class actions and opt-out matters pending throughout the country. While in the New Jersey Attorney General’s Office, Sam also led the Government and Healthcare Fraud Section, which investigated healthcare providers’ violations of anti-kickback and anti-referral laws (e.g., Stark Law), and enforced the False Claims Act and other anti-fraud laws. With his varied experience and deep knowledge of regulatory law, Sam is well positioned to successfully represent individuals and corporations in all manners of regulatory, civil, and criminal investigation. Sam was appointed by New Jersey’s Chief Justice to serve on the Supreme Court’s Committee on Information Technology and Security. He also serves on the Strategic Advisory Board of Rising Tide Capital, a Jersey City-based nonprofit organization that supports entrepreneurship, and is a 2015 Fellow of the Lead New Jersey Program. Sam is a Certified Information Privacy Professional (CIPP/US), a credential issued to individuals with an understanding of privacy laws and regulations. He is also a Practitioner Contributor to Black’s Law Dictionary (2009) for securities-related terms and phrases. Rutgers Law School – Newark, J.D.